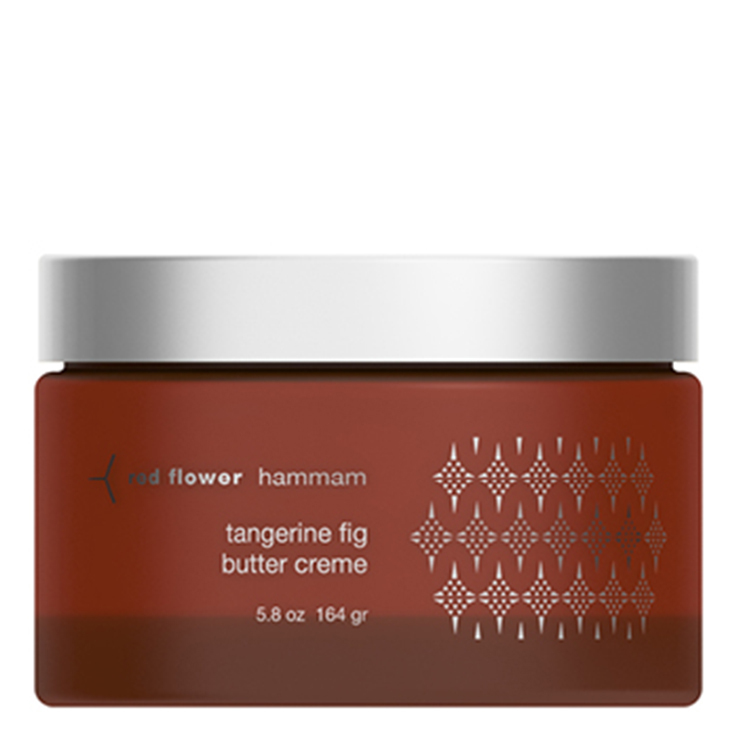 Give skin an illuminated look with the Tangerine Fig Butter Cream by Red Flower. This body cream contains an earthy and bright balance that feels luxurious and warming on skin, transporting your senses to an exotic land. Shea butter, black olive butter and fig blend beautifully to create a rich, lush and non-greasy cream. While the essences of jasmine, oakmoss, vetiver, and tangerine offer a soothing, protective, and healing feel to skin. Use liberally all over the body for a nourishing feel or apply to targeted areas such as the chest, hands, knees and feet.